Courtesy of Lisa B. Hoover, Century 21 Realty Services. Large brick-front home on corner lot in centrally located Good Hope Farms South. This home is turn-key! Full , stunning renovation completed in 2018. Grand cathedral entry, 5 bedrooms (one on main with 9 foot ceilings, possible second master with its own bath.) Four and one-half baths. New solid wood flooring throughout! Custom plantation shutters on windows, 2 fireplaces, gourmet kitchen that includes quartz counter tops, new Kraft maid cabinetry, 5 burner gas cook top, pot filler, walk in pantry , butlers storage area, and walk-through bar area. An entertainers dream space! Cathedral sun room with walk-out to deck. The master suite includes double-door entry , bath with large tub and walk-in shower, separate sitting room with french doors, his and her closets, and an office with beautiful custom white tongue-and- groove ceiling. The fully finished walk-out basement includes mini-kitchen, full bathroom, separate workout or miscellaneous room, and french doors opening to patio. Beautifully landscaped yard with private tree-line view. Please, send me more information on this property: MLS# PACB111884 – $510,000 – 5141 S Deerfield Avenue, Mechanicsburg, PA 17050. 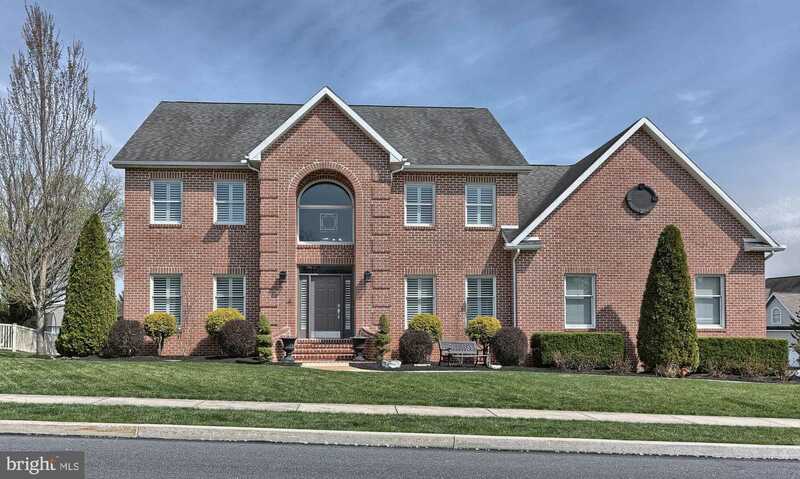 I would like to schedule a private showing for this property: MLS# PACB111884 – $510,000 – 5141 S Deerfield Avenue, Mechanicsburg, PA 17050.